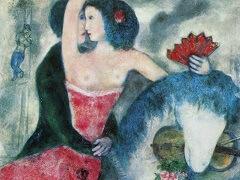 In Paris, Chagall quickly made the acquaintance of Pablo Picasso and Georges Braque, who were busy developing their theory of Cubism, Robert Delaunay and the writer Guillaume Apollinaire, among many others. 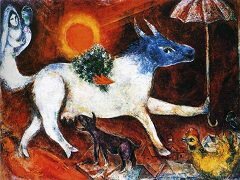 Chagall carefully studied the artistic innovations and movements of the past 60 years, starting with the Impressionists and ending with the Pointillists, Fauves and Cubists. He particularly admired the bold and eccentric brush of Van Gogh. 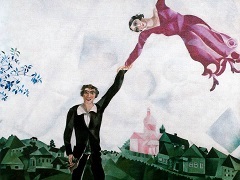 Cubism and Impressionism, however, with their analytical and almost scientific approach to composition and color, did not suit Chagall and he quickly moved beyond these styles into something that can best be described as a blend of Expressionism and Symbolism. 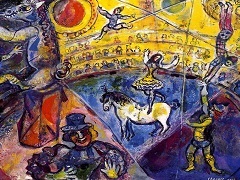 These, Guillaume Apollinaire, who became Chagall's close friend, described as "supernatural" and, later, as "surreal". The later Surrealism Movement would name itself after these very words of Apollinaire. 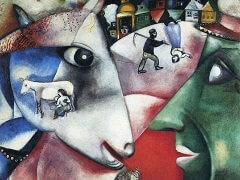 Indeed, Chagall would be a major influence on the Surrealists, though never a surrealist himself. 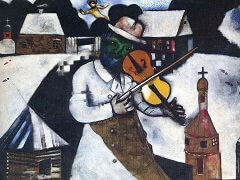 Chagall's paintings of this period frequently feature scenes from the daily life of the shtetl, which the artist often used to convey a moral and philosophical message. To the enlightened French public, these works were a shock, and Chagall was often criticized for the vulgarity of his paintings. 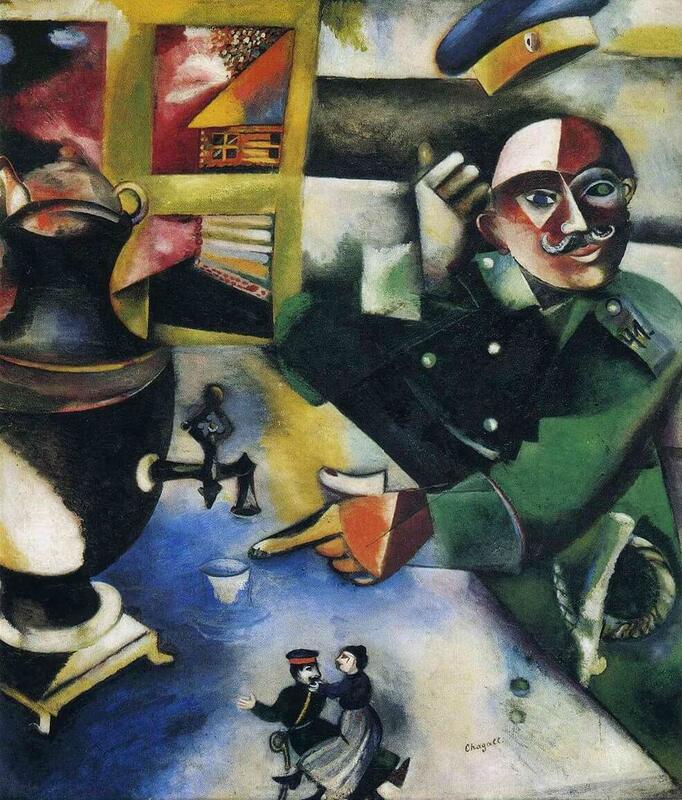 The Soldier Drinks is a masterpiece of this period.